Humanities Nebraska announced that more than $170,000 was raised in support of the non-profit organization’s statewide fundraising, the result of its 19th annual Governor’s Lecture in the Humanities reception and dinner. The annual dinner was held Wednesday, September 10 at the Embassy Suites in Lincoln, with the lecture staged at the Lied Center for Performing Arts immediately following. Poet/author/playwright Chris Abani served as a last-minute replacement for scheduled lecturer Natasha Trethewey after a death in her family. Executive Director Chris Sommerich reported that the benefit dinner was at “capacity,” with ticket sales and sponsorships providing the fundraising portion of the event. The lecture, co-sponsored by the E.N. Thompson Forum on World Issues and the University of Nebraska, also was well attended. “After the rollercoaster ride from Monday morning through Wednesday night in switching from Natasha Trethewey to Chris Abani, we managed to hold to the schedule and put on a stellar event that people will be talking about for a long time,” Sommerich said. He commended his staff, board of directors and partners for the extra effort required. 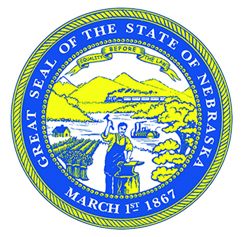 Funds raised will be applied to numerous core programs offered by Humanities Nebraska, including, Prime TIme Family Reading Time (a literacy program for underserved children and their families), Capitol Forum for America’s Future (a civics program for high school students), Chautauqua (a traveling summer historic festival), the HN Speakers Bureau featuring 150 scholars and more than 400 topics, etc. Chris Abani’s lecture is available for viewing at the E.N. Thompson Forum website. Future lectures in the E.N. Thompson Forum’s 2014-15 series, “The Creative World” are also listed on that site.